Note: Do not click reply to this return address, as it will not be received. The return address is not monitored. If you should wish to write to our Director of Customer Relations, click here to go to our Help Desk. Just duplicate, insert, and send! Below is an almost ready-to-go message you can forward to your network and have extra commission income from BIC! 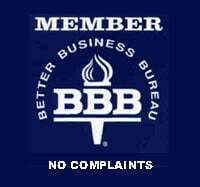 If your referrals purchase before December 16, your commissions will go out to you a few days after December 16. If your referrals purchase between Dec 16 and Dec 31, then your commissions will go out in the first few days of January. It could hardly be any easier! This is basically a “plug and play” proposal. Enjoy! May only the best and warmest blessings be yours in this Holy Day Season and may they expand evermore within you and around you to everyone you influence. Do you know how to Send Again instead of Forward? If you Forward this newsletter, lines or arrows will appear on the left, and the forwarding header information will be at the top. You don’t want that. Instead, most email programs provide a place to click to Send Again. That simply creates a duplicate of this newsletter in a new compose window. That is preferred. If you Send Again: Delete all blocks EXCEPT the one just below this one, unless you want to forward the other blocks for some reason. The one below this one is the key one that would make you commissionable. If you copy and paste, only do so on the block below this one. Read through it, and you will see that the URL brillianceincommerce.com is given four (4) times. Replace it with your affiliate link. Or: Copy and paste. If you can’t Send Again, then Select the desired sections and Paste them into a new email compose window. If you wish, put your personal note at the top of the message. Insert your mailing lists in Bcc. NEVER put whole lists of email addresses in “To” or “Cc”!! That is a violation of Internet etiquette and basic human decency. Use only Bcc. If you have an email broadcast account with MailChimp, Constant Contact, or services like that, and know how to use it, then you already know what to do. Edit – – check to make sure colors, fonts, graphics, layout, etc. look right. REPEAT once a week until they have seen it eight times. Then use other marketing materials in your Affiliate Marketing Resources Library. Watch these newsletters for more ideas! A brand new Marketing Manual is forthcoming . . . packed with thousands of dollars worth of sales and marketing resources. Also, the December 2018 revised edition of the LDES is just about ready to come out – – with many fabulous improvements. Watch for announcements. Contact Us if you have any questions or brilliant alternative marketing ideas. Running Up Holiday Gift Spending Debts on Your Credit Cards? Did you know most U.S.-based credit card and student loan debts are phony, and that you can legally CANCEL them without bankruptcy? The Liberty credit card and student loan debt elimination program legally cancels United States-based unsecured debts. These include Visa, MasterCard, Discover, institutional credit card debt, student loans, and signature loans. You can stop making payments on the debts immediately, and nullify them totally 100%, without bankruptcy, just by sending a series of letters. Many Liberty customers say this is the answer to their prayers. AND BE FREE AT LAST! EASY – Anyone with access to a computer and Microsoft Word (or Corel WordPerfect) software can do it. Just follow simple, ABC instructions to put your name and personal information into several powerful pages – and send them to the collection agency(s) and/or “pretender lender(s)” by Certified Mail. That’s it! No attorney is needed. QUICK – Can be done in one hour per account. INEXPENSIVE – Just $450! Compare to programs costing $3000 and more. And, you can cancel the debt on the credit card on which the purchase is made, if you wish. There is nothing illegal or unethical about this . . . as you will see when you understand this system better. 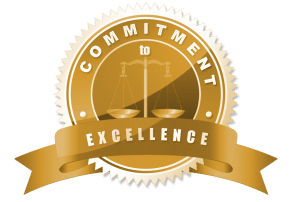 100% SUCCESSFUL – To our knowledge everyone who has used this exact same system, precisely as instructed, has seen all collection attempts by banks, lending institutions, law firms, and collection agencies—even courts—come to a full and final stop. See our “Victory Letters” and “Victory Statements”. See them under “Proof that Debt Elimination Works” at brillianceincommerce.com in the Liberty Debt Elimination section. Take one hour and read our highly entertaining FREE 50-page eBook – – written in plain high school English with plenty of pictures – – at brillianceincommerce.com in the Liberty Debt Elimination section. Prefer to Listen to Audios While Driving or Relaxing? Click on “Videos” at brillianceincommerce.com – – listen to the audios hands-free while driving or relaxing, or watch the videos wherever you have the opportunity. These videos have blown many people’s minds! Liberty has produced 100% success for everyone else who has used it ever since it was introduced. It has even worked for people being sued by credit card institutions. They adapted the system documents (the same as you will receive) to their court cases, and the cases were dismissed. The system continues to work today. It is time tested. It takes a few months before you see that the pretender-lender’s collection attempts have definitely stopped, but they have always stopped. This system works far better and more consistently than commercial discharge or set-off methods that depend on the Uniform Commercial Code, because the elite have tried to monopolize those methods for themselves while blocking their use by most other people. Accept this offer and receive by immediate computer download your complete set of simple, easy-to-use documents and full instructions. Complete customer service is provided. If you have questions, we’re here for you. Similar, top-quality systems cost $2,000 to $4,000. Liberty’s is so much less expensive because it is much simpler, and because it is priced with compassion. Most people in trouble with credit cards and other debts have little money to risk. Yet, there are only two differences between the far more expensive programs and the one you will immediately receive from Liberty. 1) You fill in the forms yourself. Many higher-priced programs employ staff to fill out the forms for you, customizing each letter with your personal information. But hardly any Liberty customer has ever needed help with these simple forms. Very little effort is required; you can do it yourself in half an hour. The templates show in red type each item for you to fill in, and the complete instructions tell you exactly what to do, step by step. The few people who do need help filling out the forms can usually find a family or friend to help them. 2) You receive a lot more benefits. With all other debt relief programs out there, you only end up with reduction, negotiation, compromise, consolidation, court litigation, or mixed and imperfect success rates. With the Liberty Debt Elimination System from Brilliance in Commerce, you have the number one system in America that totally eliminates 100% of the debt permanently on the eligible debts to which it is applied . . . using a process that has been 100% undefeated since 2002. Regardless of which word-processing program you use, once your documents are created you will need to print and send them to the lenders or collection agencies by Certified Mail. If you don’t have a computer, use one at your local public library, a FedEx Office or similar service, or a friend’s house. INSTITUTIONAL CONFIRMATION OF Liberty SUCCESS! For years, Liberty has stated that, from all reports received, its debt cancellation program has proved successful against unsecured debts 100% of the time when its users have faithfully followed the simple instructions. It has never received any contrary information. In addition, our website has many examples of third-party documentation. We call these “Victory Letters” and “Victory Statements”. See them under “Proof that Debt Elimination Works”. For example, the source of the written proof on one of them was no less of an authority than Transunion, the credit reporting agency, itself. It reported that the debt was “deleted”. Another is from the IRS. Another is from the Department of Education, etc. Usually when pretender-lenders drop their claims, they slip away quietly without issuing written confirmations. No doubt they realize that their written admission would be copied by the so-called borrower and forwarded to others, spreading the news about their bogus loans even faster than it was traveling before. But until now the best evidence of the effectiveness of Liberty’s effectiveness was the banksters’ falling silent and ceasing to bother the so-called debtors. True, these tacit admissions of guilt have freed many thousands of people from debt slavery, and Liberty has been delighted to play a key role in those happy endings. Now, however, for the first time, it has received actual, written, third-party confirmation that a debt was deleted! Of course, even though some customers received these letters, they were rare incidents. Do not assume that you will also receive written confirmation. More likely, any entity(s) demanding payment from you will just go silent after receiving your letter and affidavit without giving you any other confirmation of the fact. But remember: “No news is good news.” With Liberty’s process, “no news” means no more bills, statements, collection letters, or phone calls—because the supposed lender has written off your alleged debt. On the other hand, you might be the next one to receive written evidence that your debt is gone. As it shows, the effectiveness of Liberty’s system does not depend upon presenting mere philosophy to the banks. The frauds they are perpetrating are clearly unethical, but Liberty doesn’t argue ethics. Its system has worked every time because it is the truth. It identifies the actual, specific laws that the banks are violating. They cannot get around or defeat that fact. That’s why every reported case against anyone using Liberty has been dismissed when the documents it provides were presented to the court. By this point I would be amazed if you had no questions about the process. If you do, please see the Questions and Answers section on our website. If you still have questions not answered there, by all means, click on “Contact Us” and send a support ticket to us! We’ll get back to you usually within one day. Or call the number at the top of the screen. Discussing Liberty’s unsecured-debt cancellation system with most lawyers and/or accountants would waste your time, plus your consultation fee if any. Worse, their comments might discourage you from acting to free yourself from bogus claims that you have unsecured debts. Almost definitely any professional you might ask would doubt legality, ethics, and effectiveness of Liberty’s system. Don’t be influenced by their ignorance. You will begin to understand their usually well-intentioned efforts to keep you from straying from the flock when you know the source of their arguments: most colleges, universities, and law schools fail to teach the truth about banking. Only the rare few lawyers and accountants possess this knowledge—probably from self-education or from happening upon a well-informed, private mentor. On the other hand, when you receive your documents you will discover that they are strong enough to hold up in any court. Liberty reports a number of cases in which its documents led to the dismissal of lawsuits against customers without their having to appear in court. So, if you would ever wish to consult a tax professional about Liberty, you would do best to wait until you can present your documents to him/her. Mere talk about debt cancellation in general—like that contained in the “New Economic Slavery” video mentioned above—usually produces negative reactions from tax professionals. Their lack of training and lack of professional experience with this well-guarded material disqualify them as authorities about it. Showing them your actual documents, however, serves to challenge them politely to disprove the material. And they cannot. Nobody has ever done so, because it’s all true. The use of words “reducing or” in the above question serves two purposes. First, it covers a variety of situations. For instance, you may have not only several credit cards but also an auto loan secured by the vehicle and/or a home loan secured by a mortgage. Remember, Liberty’s process will be effective against the credit card debt but not the auto and home loans. The second purpose for using the words “reducing or” eliminating debt when speaking to an accountant or attorney is to soften the impact the question will make in his/her mind. 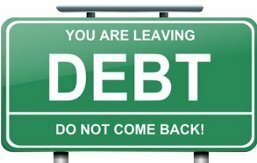 Asking simply about “eliminating” all your debts might create an impression that you had just come into a large amount of money that would enable you to pay them all off. Naturally that would raise eyebrows and pique interest in your affairs—and you might like to avoid any additional interest. The word “reducing” could help prevent further probing. in the Liberty Debt Elimination section. If you do, congratulations on commencing your journey to debt-free status! https://brillianceincommerce.com/newsletter-signup to receive future issues. Copyright © 2018 Brilliance in Commerce, All rights reserved.